Actress Tamara Woods was in the process of voting for other Philadelphia and Delaware Artist on Broadway World's website to show her support. Later she discovered her name was listed under 'Best Actress In A Play "Freedom Smitty". She exclaimed, "I was shocked! It's surreal. I'm still trying to take it in." See below the rave reviews of Woods' performance as Fannie Lou Hamer. ​Please visit the Broadway World Delaware site. It is now open for you to vote for your favorites in each category. The Broadway World Awards is somewhat like a People's Choice Award; an American awards show, recognizing the people and the work of popular culture, voted on by the general public. To vote, visit broadwayworld.com/delaware. Voting takes place through Dec. 31, with winners announced in January by Broadway World. Hello Family, Friends, and Supporters, The 2016 BroadwayWorld Delaware Awards Winners is Announced! Congratulations to Lisa Condon for winning Best Actress in a Play (Non-Professional)! I would like to thank everyone who voted for me. I really appreciate it! 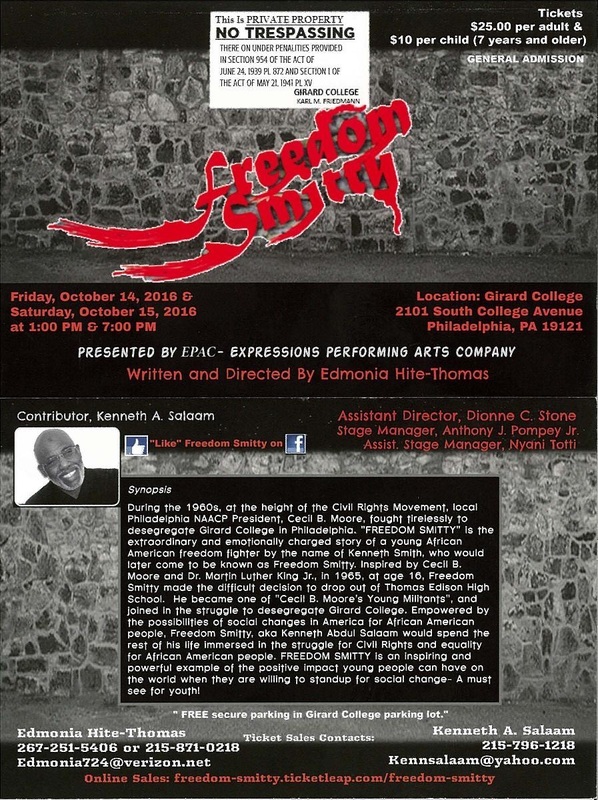 2016 was a wonderful year for me and to be nominated for my performance as Fannie Lou Hamer in Freedom Smitty was an honor. Congratulations to all the winners and nominees. ​Again thank you so much for your time and support! Nineteenth-century Philadelphia is often characterized as a center of abolitionist thought and a haven for Southern slaves seeking freedom. But that is a simplification, as we learn from the latest installment of Philadelphia: The Great Experiment, an ongoing half-hour documentary series produced by Philadelphia entrepreneur Sam Katz's History Making Productions. It will air at 7:30 p.m. Thursday on 6ABC. Titled "Disorder: 1820-1854," the sixth installment of the 13-part series explores the racist sentiment widespread among working-class whites who felt displaced by the city's growing number of free blacks. It was a sentiment that often led to mob violence. "Many of these people were the children of people who fought in the Revolution and they felt they had earned their rights" as citizens, Katz said. "To them, African Americans as well as European Catholic immigrants didn't deserve the same rights." The Industrial Revolution brought immense changes to the country that increased disorder and tension, Katz said. "The period we're covering in this episode was probably the most violent and disorderly period in the city's history," he said. "There was a riot almost every year." Unlike Boston, far from Southern plantations, Philadelphia sat on the border between North and South - it was just a few miles from two slave-owning states, Delaware and Maryland. "The majority of the city's population was pro-slavery," said series director Andrew Ferrett. "But it was also a place that attracted leading abolitionists, so the city became a battleground between the two sides." African Americans lived a precarious life - they were targeted daily simply for entering public spaces. Regardless of their wealth or social position, black men and women were fair game. The episode profiles one of the country's wealthiest business owners, James Forten, whose family was attacked. They did not receive any protection from the authorities. The conflict came to a head in May 1838, when Pennsylvania Hall, a grand edifice built by abolitionists, was burned to the ground three days after its inauguration. That same year, Pennsylvania revoked the right of free black men to vote. "How are you free if you don't feel safe walking down the street?" asked the University of Delaware's Erica Armstrong Dunbar, one of the advisers on the documentary. "Black men felt uncomfortable in public. . . . These are fears we still talk about today." 7:30 p.m. Thursday on 6ABC. The classic play by William Gibson which focuses on the stormy relationship between Helen Keller and her governess Annie Sullivan is at The Media Theatre January 28-February 15. Helen Keller was rendered blind, deaf, and mute due to a childhood illness. William Gibson's play highlights the struggles of her family to control her wild behavior and their subsequent hiring of teacher Sullivan in an effort to assist their cause.The moving, triumphant show is a testament to the power of the human spirit as it highlights the struggle to be heard without speaking, to find one's way without sight, and to function without the ability to hear. 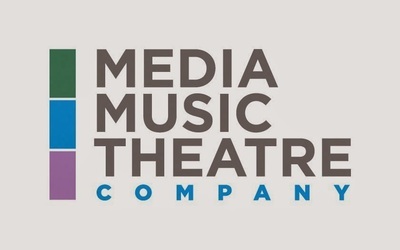 With several 10am performances scheduled on Wednesday and Thursday specifically for school students, The Media Theatre will highlight certain educational aspects of the production. A professional cast of Actors Equity Association union members will bring the show to life, led by Lexi Gwynn as Helen Keller and Jennie Eisenhower as Annie Sullivan. Lexi Gwynn is a New School student at The Media Theatre who becomes a union member with this production. 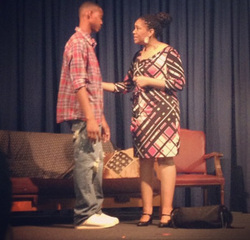 Eisenhower, well known to Media audiences and throughout the Philadelphia region, is a Barrymore Award winner. Keller's parents will be played by Andrew Criss, making his Media Theatre debut, and Hillary Parker, seen previously in "Dr. Dolittle". Alex Kryger is James, Helen's teenage half-brother who holds resentment toward her. Audience favorite Nicholas Saverine is Agnanos, the headmaster for the Perkins Institute of the Blind. Maria Wolf plays Aunt Eve, and Kelly Briggs portrays a Doctor. Viney, a servant in the Keller household, is played by Tamara Woods with her young Kennedy Ndiaye and Nasir Turner as her children. Other blind children in the cast are portrayed by Josh Atkinson, Katheryn Cooper, Anna Rosenthal, Amanda Treston, Brea Turner, Mary Kate Vink, and Carter Weiss--all students at The Media Theatre. tamara woods stars as linda loman "Death of a salesman"
Death of a Salesman has been recognized as a milestone of the American theatre. In the person of Willy Loman - the aging, failing salesman who makes his living riding a smile and a shoeshine - Arthur Miller redefined the tragic hero as a man who's dreams are at once insupportably vast and dangerously insubstantial. Death of a Salesman compresses epic extremes of humor and anguish, promise and loss, between the four walls of an American living room. Director Ozzie Jones weaves this caustic attack on the American dream of materialism with an all African American cast - Featuring: Kash Goins, Tamara Woods, Alicia Diane, Eric Carter, Carlo Campbell, Roni Graham, Michael Way, Monroe Barrick, Richard Bradford, Daira Guerra, Steve, Andre N. Jones, and June Patterson. "Why Can't We Be Friends" based on the book "I Believe in Me", by Christopher Hopson, is a story about his ordeal with being bullied. 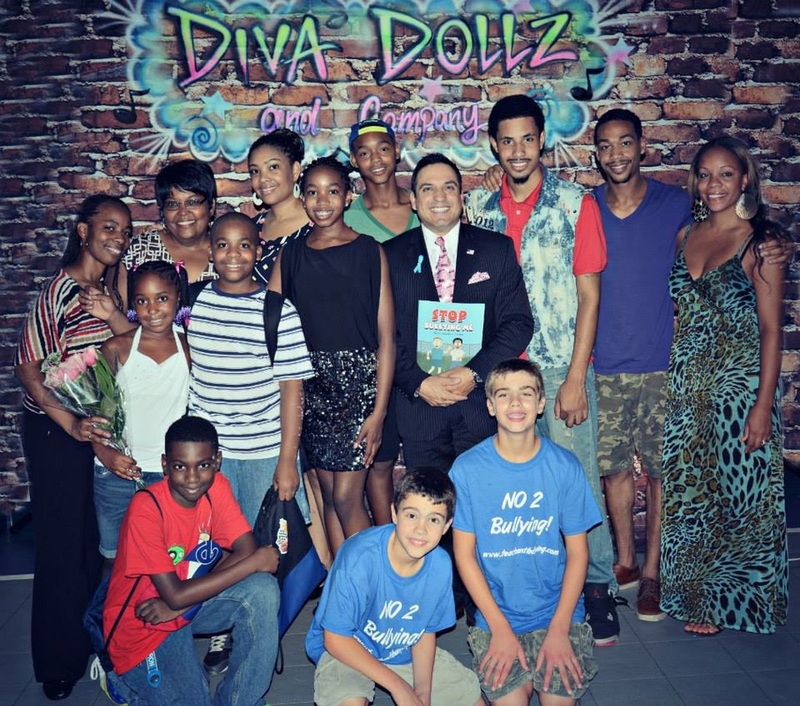 This play address and spreads awareness on bullying to STOMP OUT BULLYING! Chris’s movement to end bullying has now reached the White House with both President Barack Obama and Vice President Joe Biden lending their support to him. State Representative Cherelle Parker as well as the Department of Education has also let Chris know that his voice is being heard and they support is mission.